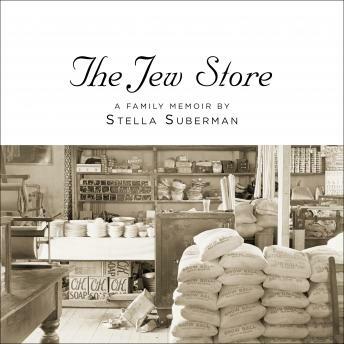 In 1920, in small-town America, the ubiquitous dry goods store was usually owned by Jews and often referred to as 'the Jew store.' That's how Stella Suberman's father's store, Bronson's Low-Priced Store, in Concordia, Tennessee, was known locally. The Bronsons were the first Jews to ever live in that tiny town of one main street, one bank, one drugstore, one picture show, one feed and seed, one hardware, one barber shop, one beauty parlor, one blacksmith, and many Christian churches. Aaron Bronson moved his family all the way from New York City to Tennessee to prove himself a born salesman-and much more.Told by Aaron's youngest child, The Jew Store is that rare thing-an intimate family story that sheds new light on a piece of American history. With a novelist's sense of scene, suspense, and above all, characterization, Stella Suberman turns the clock back to a time when rural America was more peaceful but no less prejudiced, when educated liberals were suspect, and when the Klan was threatening to outsiders. In that setting, she brings to life her remarkable father, a man whose own brand of success proves that intelligence, empathy, liberality, and decency can build a home anywhere.